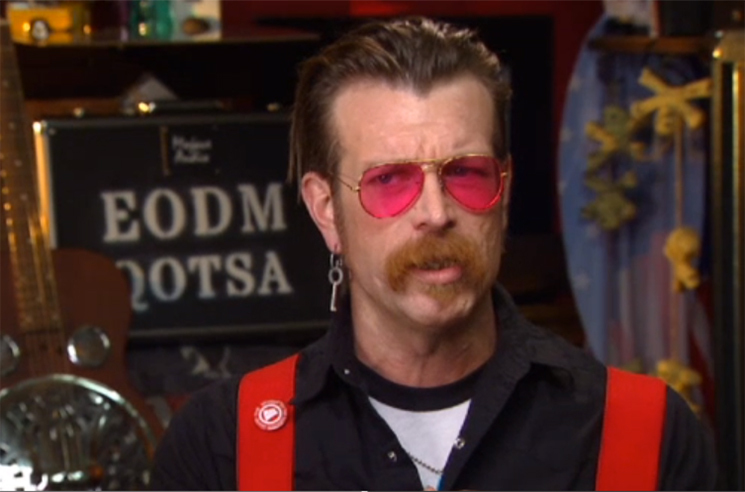 Two years have passed since a terrorist attack left 89 dead at an Eagles of Death Metal show at Le Bataclan in Paris. That said, it still feels too soon to turn the event into a schmaltzy, romantic TV movie. French public TV network France 2 had plans to air a romantic drama film called Ce Soir-Là (That Night), but it has since come to its senses and decided to hold off on the release. According to Deadline, the TV movie is billed as the story of "a (fictional) romance between a single mother and an Afghan man long-escaped from the Taliban who meet on the night of November 13 as they rescue survivors of the attacks." Claire Peltier, whose partner was killed in the attack, started an online petition to have the film cancelled, calling its premise "too painful." Now, France 2 have issued a statement, saying, "The film, which is still being edited, has not been seen by the channel's management. France 2 has made the decision to postpone this project until the production has widely consulted all victims' associations."